Numerous are the prophesies in the lives of the Saints throughout the course of the centuries. The primary purpose that God inspires such prophecies in the Saints it seems is to guide souls closer to Himself through means of warnings of future matters and events. And, at times (but not always) the prophecies are often contingent upon the response from the intended persons, as we shall see in some of the examples below. Among the countless Saints known for the gift of prophecy are St Martin de Porres (d. 1639), St Mary Magdalene de Pazzi (d. 1607), St Francis of Paola (d. 1507), St Francis of Rome (d. 1440), Bl. Margaret of Castello (d. 1320), St Anthony of Padua (d. 1231) and St Bernard of Clairvaux (d. 1153) to name just a few. We will highlighting three holy founders of religious Communities who were given the gift of prophecy, two of which lived quite recently. St. Anthony Mary Claret (1807-1870) [pictured above] the holy founder of the Missionary Sons of the Immaculate Heart of Mary (known as the Claretians) worked countless miracles through the grace of God in his lifetime, among them a large number of documented prophecies. A well documented prophecy occurred when Father Claret organized a mission which, because of his heavy schedule, was unfortunately planned during harvest time when the wheat was ready, and the people were obliged to work in the fields. In preparation for his mission, he visited the homes of many of the workmen and told them that they should attend the mission, and that God would bless them for doing so. Many respectfully replied that it was impossible, since the entire harvest could be lost in a single day. To this the Saint uttered this prophetic warning: "In God's name I say to you, that if you come to the Mission your wheat fields will be more productive, and all danger of rain and hailstorms will be averted. If, however, you do not come, your harvest will be destroyed." With that prophetic warning, St. Anthony Mary Claret began the mission. Some farmers and workers attended; others did not. Two days later the farmers who had not attended the mission saw their crops completely ruined by a fierce hailstorm that unexpectedly appeared. Those who had attended the mission saw that not only had the hail spared their crops, but their wheat stalks were also more heavily laden with grain than had been anticipated, just as the Saint had predicted. Another prophetic miracle took place in the diocese of Vich, Spain where a couple named Jose Rovira and Rosa Malats had two daughters. One died in childhood and the other daughter, Candida, secretly desired to enter the religious life and eventually told her parents of her vocation. Her parents asked her to think well about it. The father and daughter consulted a priest friend named Father Canals, Prior of the Carmelites of Vich. After speaking with Candida and seeing the poverty and age of the parents, the priest was reluctant to make a decision since the parents were no doubt expecting Candida to be the joy and help of their old age. 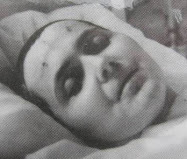 So, knowing of Father Anthony Mary Claret's holiness, Father Canals sent them to him, who then interviewed the daughter, reflected for a few moments, prayed and then made this prophetic pronouncement to the father: "It is the will of God that Candida become a religious. Do not fear to give your consent, because within a year God will grant you the blessing of becoming the father of a son, who will be your consolation in your old age." The father smiled, realizing that his wife was well past the age of child-bearing, but he replied to the Saint: "If within a year we have a son, we shall give our daughter permission to enter the convent." As predicted, a son was born exactly one year later. The whole town had heard of the prophecy, and all declared that it was a miraculous birth. Candida, now relieved of responsibility, was accepted into the Third Order of the Carmelites of Charity. Her brother grew in health and virtue and became, as the Saint had predicted, the consolation and joy of his aged parents. 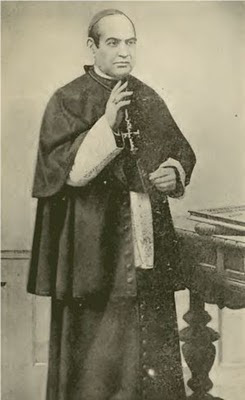 On another occasion, the Island of Cuba was in need of deep spiritual reform, so the Pope, knowing of Father Anthony Claret’s holiness and virtue, ordered him to the island, and made him the Archbishop of Santiago on May 20, 1850. Within a few years his extraordinary example of poverty and piety many of the people converted, however some would not listen or appreciate the gift that was given them in the extraordinary person of Archbishop Claret. And so God gave them a sign---It was 8:30 in the morning of August 20, 1853 that the worst earthquake in Cuba’s memory struck Santiago. Everyday for several weeks one merciless aftershock followed another, even as many as five in a day shook the city and the outskirts in a siege of terror that left no structure spared of devastation. Only with the presence of their saintly Archbishop could the people of Santiago bring forth the hope for deliverance from this awful scourge. Many began to beseech Anthony for his intercession and he did, in fact, stop at least one erupting tremor by pressing his holy hand to the ground. Even so, many seemed to forget his prophecy. Scarcely a month passed, when cholera broke out, spreading with the speed and horror of an inferno. The saint happened to be away on a preaching mission and he hurried home to attend to his stricken flock, praying and working with every means for their spiritual and bodily welfare. Within three months the plague claimed nearly three thousand lives, that is, one-tenth of Santiago’s population. And while the reality of such human misery pained the blessed Claret, he had the far greater comfort of knowing that with the help of his faithful priests, reportedly not one life was lost without the consolation of the last sacraments. Next we shall contemplate a few of the many occasions where St. John Bosco (1815-1888), the holy Founder of the Salesians foretold events that would take place to people he knew and to many whom he met for the first time. Such was the case in 1853, when a young girl spoke to the Saint of her vocation to the religious state. The Saint hesitated only a moment before replying, "You will have to wait a long time before you can realize your desire, but at last you will join a congregation which was founded in the year of your birth." Twelve years later the young girl joined the Little Sisters of the Assumption, which had been founded, as the Saint had predicted, in the year of her birth. It is said that the Saint had never met the girl, but perhaps knew of the many difficulties that had detained her so long in the world. One of the lay brothers, named Nasai, a member of John Bosco's Order, the Salesians, was entrusted with a prophecy from St. John Bosco in February of 1882 regarding Fr. 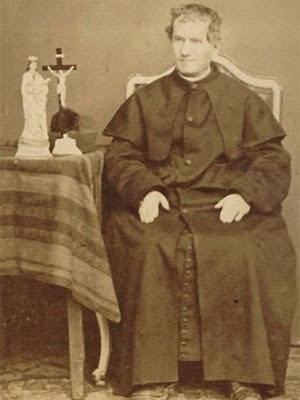 Bologne, one of the founders of a Salesian Mission at Marseilles, France. The Saint told the lay brother to continue helping Fr. Bologne and to follow him to France, where the good priest would govern several houses of the Order. 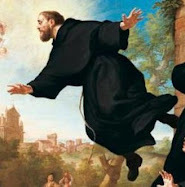 The Saint added, "Yet he will not end his life in France, but at Turin (Italy). 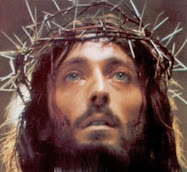 When you hear of his death, get ready; your own will be close at hand." As predicted, Father Bologne died of apoplexy on January 4, 1907, in Turin. Brother Nasai entered eternity eight months later, on September 25, 1907. Additionally, St. John Bosco predicted the untimely death of a number of his students. 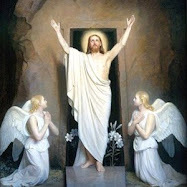 The Saint, in addressing the boys in his school, once warned: "Let us be ready for death, for before a month is over one of us has to appear before God." One of the young Latin scholars named Berardi, who was experiencing robust health, heard the prophecy and felt it was meant for him. Several days later a sore developed on his lip and kept enlarging, until a fever kept him in bed. A doctor examined the boy and had him immediately brought to the hospital, where the boy died the next day of blood poisoning believed to be caused by the bite of an insect. The prophecy had been realized in only sixteen days. On another occasion, two priests, one named Father Cagliero, went in February, 1862 to tell Don Bosco [as he was fondly called] that one of the pupils of the Oratory had died. The Saint replied sadly: "He will not be the only one. Within two months from now two others will appear before God." The two priests begged to be given the names. Fr. Cagliero wrote them down on a piece of paper and slipped it into an envelope, which he sealed. Before the end of two months both youths mentioned in the prophecy took sick and died. 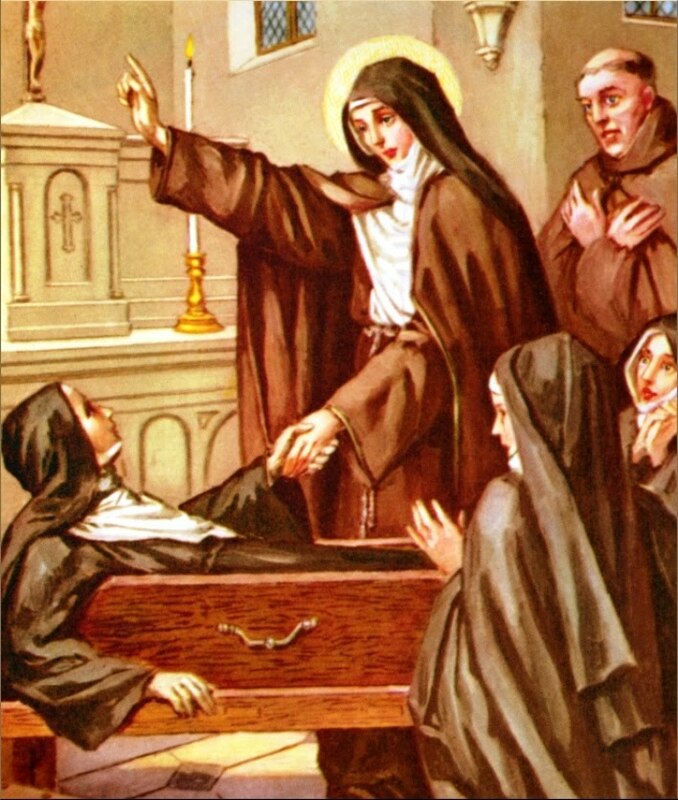 Another extraordinary Saint who was blessed with the gift of prophecy was St. Colette (1381-1447), the founder of Colettine Poor Clares who became a Franciscan and was made superior general of the Poor Clare Order. Reformer of those convents already in existence, she became the administrator of the convents she had established. Toward the end of her life she began to divulge events that were to take place in the future, including the Protestant Reform. At the convent in Besancon, France she foretold an event that would take place in the next century. A great fire, she foretold, would burn the convent building to the ground. The nuns were horrified and pressed the Saint to tell them if the fire could be stopped. Colette shook her head sadly and told the nuns, "When the big cross out there in the cemetery falls down across the graves, they will know the fire is about to come. Let them be warned and run out of the house. But they will not be able to prevent the disaster." The nuns who heard this prophecy from the Saint's lips wrote the warning in the convent's archives for their sisters of the next century. Another prophecy of St. Colette concerned her spiritual friend, St. Vincent Ferrer. After coming out of an ecstasy, which he had witnessed, she asked St. Vincent if he wanted to know what she had been told about him. She asked as though it were a thing of joy. When he replied that he wanted to know, she told him death would come for him in less than two years. As a native of Valencia, Spain, he asked, "Well, tell me at least that it will be in Spain." Answering his request she replied: "No. In France." And so it happened. St Vincent Ferrer died two years later in Vannes, France at age 69, after a life of complete love and service to God and His Church. Nostradamus in his codes predicts 92 Years of peace between the Second World War and the third world war. Hence we arrive at the Year 2037 which ushers in catastrophic changes. The comet ( Jan 2037) and asteroid ( June 2040) according to the Book of Revelations would destroy one third of the land and one third of the sea respectively submerging countries like Britain, Japan, South Africa, Singapore, parts of USA ( San Francisco) and ancient civilizations. After the 3 1/2 Years of peace war will breakout in 2041. India will be occupied by China. China and Russia will annex and occupy USA. Europe will be devastated by the Islamic invaders lead by the Mahdi of Greater Arabia who sports a blue turban launching nuclear weapons on it. The war would see 200 million soldiers kill 3 billion people. Read www.war2037.com for Hindu prophecies which mentions Kalki (Sree Veerabhoga Vasantharaya born in 1965-66 ) will restore law and order and usher in 1000 Years of peace from 2064 onwards. Prediction is fulfill once it comes to pass. The only soul who knows the end world events in the distance future is st. Daniel himself (book of Daniel) yet he was prohibited to write what he has been seen. It would be entire study for generations till the day come. 2025: Birth of Lord Kalki or Sree Veerabhoga Vasantharaya in Orissa in Shambala village and who will restore peace world wide. 2042: Earthquake in Italy and the Vatican Pope shifts to France from Italy and the third world war begins, USA will be invaded by Russia and China and Europe will be invaded by Muslims. 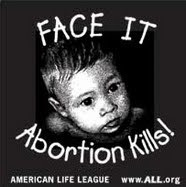 The Book of Revelation mentions 200 million soldiers kill 3 billion people.